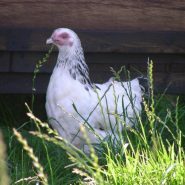 The white leghorn is the smallest of our hens, pure white with a distinctive large comb. Lays 320 pure white eggs a year. Very pretty & dainty with a fantastic fan of tail feathers!! Prefers spacious surroundings. You can now order online for delivery. For collection please just come to the farm during our opening hours no appointment required have a look at purchasing at moon ridge for more info You can not order online for collection at present. A great addition to any flock, perfect for a mixed free range flock, best kept in a permanent large area rather than a house with attached run, they like their space! Must be fed a complete diet of layers until the come into lay ( as they eat so little any deviation from their diet and they have a tendency to go off lay or not come into lay) Once established and in lay a small amount of treats can be offered at the end of the day. Suits commercial, retail or niche market egg producers or hobbyist wanting different coloured eggs. 320+ pure white eggs in the first year. Excellent economic and production efficiencies.This commercial strain of White Leghorn is one of the most productive birds available, if not the most. 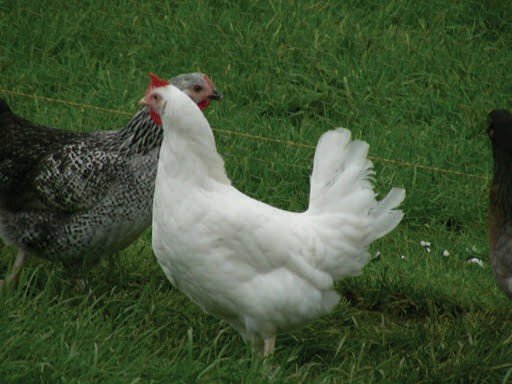 Producing huge numbers of very high quality pure white eggs, this bird is the choice of many producers in a variety of systems in all parts of the world. 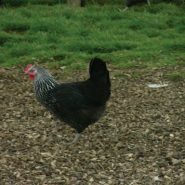 A small bird with low feed intake and excellent feed conversion helps reduce production costs especially with mixed colour egg production. Very well suited to all intensive or extensive commercial production systems. 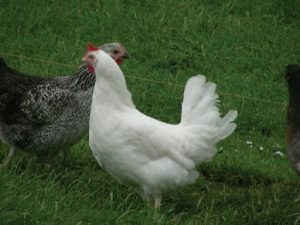 Although the smallest of the hybrids the White leghorn prefers a free range existence and tends to prefers its own company, saying that it is a beautiful bird that produces great eggs. Brilliant layers. Pure white egg is delicious as soft boiled egg for breakfast. Rarely misses a day. Adventurous and trouble free.